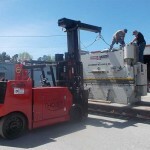 Accuwright’s Machinery Movers, Riggers and Millwrights are top caliber craftsmen. 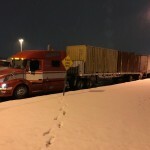 In addition 0ur field proven Plant Relocation crews help our clients develop smart and safe solutions for their machinery move, with minimal facility interruption. And further still our modern selection of rigging equipment allows us to always have the right machine we need to safely get the job done. 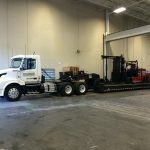 As an example we have heavy forklifts up to 60,000 pounds and systems that can handle over 400,000 pounds, and we can prepare, crate and transport your machinery to/from any domestic port for international shipping. What if you have deliveries stuck at the port? From our main office in Newnan Georgia we are only hours away from all Gulf coast ports, and many Atlantic ports. So we can go get your valuable cargo fast. Crating is not an aspect of you project to be underestimated. This is why we have a dedicated team for this process. They will asses; contents, destinations and weights. Then provide the best solution to safely deliver your valuable asset. 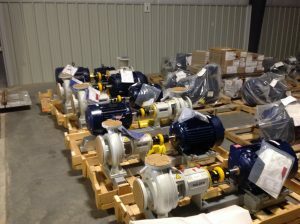 When your equipment arrives we can receive it and prepare it for installation. 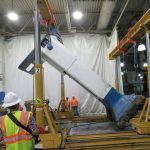 Many machines require advanced assembly coupled with heavy rigging, and this is where Accuwright shines. Our dedicated rigging managers work directly with our millwrights on the best plan forward. Accuwright offers a true turnkey plant relocation service, because our company has teams dedicated to all phases of your factory move. A Plant Relocation can be very complex, and communication is key to simplifying this. This is why from project planning and decommissioning, to rigging and coordinating transport, we are right there with you. Keeping you informed so you can rest assured thing are going right. in addition we can also arrange short or long term storage. Many times your equipment will not all arrive at the same time, and we can assist by accumulating the shipments for you. Then finally install and recommission when you are ready. Many times we can perform machine sub-assembly prior to shipment to further speed installation. Is floor suitable for heavy move? If outside, is move area suitable for heavy move? 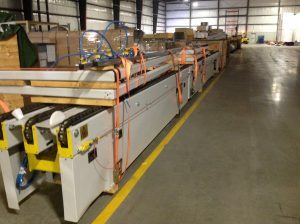 Does machinery require a crating or packaging? 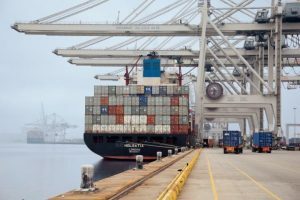 Does machinery require a shipping container for exporting?